Paolo De Conto’s 2018 went through two key moments that affected his chances to enrich his and CRG’s (the brand to which he has been connected for five years now) prize lists. “Following a chronological order, the first episode has been the Steward’s decision that stripped me of the European KZ title. A title that the Team and I (deservedly) won on track. “This has been a decision I cannot share, understand nor accept in any way, considering that it sanctioned an overtaking move with a slight contact, on a rival that was experiencing technical difficulties and that did not file an appeal for the move. A unappealable 10s time penalty modified the result of the track stripping us of an important title like the CIK-FIA European Championship. 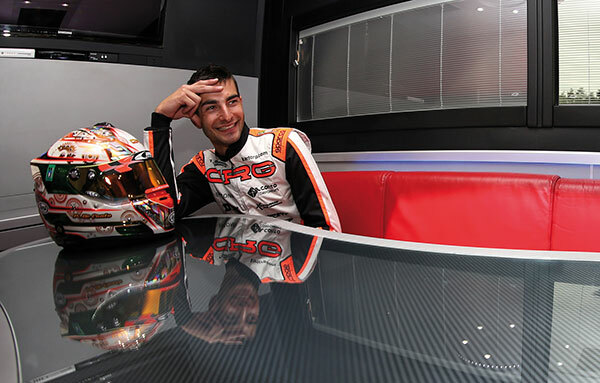 “The fact that the title went to CRG anyway with Jorrit Pex does not change an unfair punishment. “CRG is one of the most important outfits in the world and is the market leader of KZ worldwide. It is an honour and a pride for me to be part of this team and to contribute to the success of this brand being part of the Racing Team. CRG is the history of karting and a company projected to the future.